Owner of Mindful Quest Relationship Counseling To learn more about services provided click here. At the beginning of my career I became interested in learning how to help women heal from sexual assault. My focus was in supporting and empowering those seeking justice as a “Victim Advocate” in criminal court. In this role, I became certified as both a Domestic Violence and Sexual Assault Counselor and in my training I became exposed to therapeutic approaches that had been proven effective in helping people heal from this trauma. As a result, my concept of justice evolved. I realized there is no bigger justice a survivor can do for themselves than taking their power back—especially when society and our system has failed and continues to fail many of those seeking to be heard. I went on to pursue a career as a Marriage and Family Therapist, because I knew that sexual assault doesn’t only affect the survivor, but also their loved ones. I wanted to understand and know how to work with this in a specialized way. As a clinician and fellow human being, there is no bigger reward than witnessing first-hand the growth and healing that happens for those that are ready to take their power back. Once we take our power back we become able to rewrite our story. 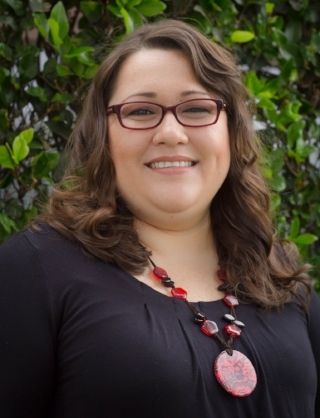 Owner of Melanie Saldana Counseling To learn more about services provided click here. What originally drove me into this field, continues to be the same calling I find myself so passionate about today. I remember being a teenager and reading about the atrocities being done to women and their bodies around the world. Hearing the stories stirred something within me personally and professionally. In college I took a 40-hour Domestic Violence Advocate Training and never looked back. It became the training ground for beginning to work with survivors of sexual assault. During my graduate studies, I continued to work with survivors of sexual assault and family violence. As a graduate student, I soon realized I wasn’t fully equipped to address all that my clients were experiencing in the aftermath of their trauma. Creating a safe place and empowering women to find their voice through their stories was only half of the equation. Often times, I noticed them continuing to struggle with flashbacks, panic, and hyper-vigilance that didn’t seem to be resolved just by talking through it. Given my observations, I went searching for more enduring and relieving strategies- That’s where my exploration of yoga, mindfulness, and EMDR started. Our bodies are innately designed to heal themselves and even more amazing, we all have the capacity to do so ourselves. Personally and professionally we have met many women who have experienced sexual assault at some point in their lives; by a family member, family friend, an intimate partner or a stranger. We met each other while working at a local domestic violence agency back in January of 2012. We have both seen how EMDR therapy has helped many of our clients. Now as independent private practice owners and close friends, sharing a passion for helping others and knowing that our training and our holistic styles compliment each other, we decided to come together and create a nurturing and safe place for those who are ready to do the work. It’s been our honor to be able to lead women back to themselves in our independent work. Helping women regain a sense of ownership and love for their bodies, despite what may have been done is possible. We believe you deserve the space to reconnect with yourself and others. You deserve to move on with life confidently and no longer in fear. You deserve to take your power back. We hope you’ll join us on the journey back home to yourself.